All across the country, the minimum wage is on the rise. In 2018, 18 states introduced legislation to increase statewide minimum wage rates. Cities like Los Angeles, Washington D.C., and New York have already raised their minimum wage to $12 an hour or more, and well over half of states have implemented rates above the federal wage of $7.25. Last year, Congress voted on a bill to raise the minimum wage to $15 an hour; although the act failed to pass, it’s clear that rising wages are a lasting trend. Ready or not, your establishment may soon need to weather the high restaurant labor costs accompanying these increases. However, you shouldn’t just let employees go or raise prices across the board and hope that customers won’t notice. Either your customer experience or your value proposition will suffer, and neither is tolerable within the context of narrow profit margins. Fortunately, you probably have more flexibility in your budget than you think. Many restaurants have room to improve when it comes to operational efficiency, which can save you money in food costs and allow you to take on additional orders. Several services and pricing strategies can add income as well, which should offset rising restaurant labor costs. Here are some ideas to help you stay afloat in the wake of rising minimum wages. One way to absorb restaurant labor costs is by reducing staff. But how can you do that without compromising service or ticket times? The answer lies in your format. 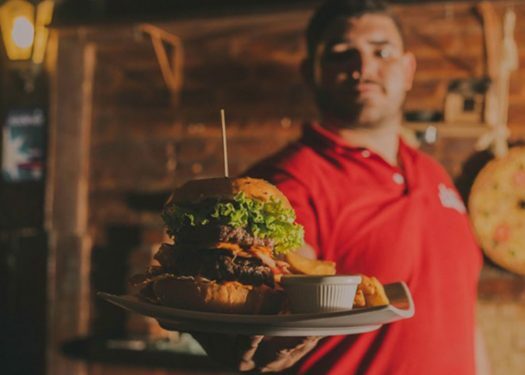 Converting your restaurant’s format from a full service restaurant to a quick service restaurant allows you to save money on labor without sacrificing the quality of the customer experience. It’s a big move and not one to be made lightly. However, customers may be more amenable to the change than you’d think. Interest in quick service and fast casual restaurants is on the rise, allowing significant growth in these formats in recent years. Additionally, the savings and improved efficiency associated with quick service formats make them quite attractive to restaurateurs looking to cut labor costs. The more availability you have in your restaurant, the more tables you can turn — pretty simple, but streamlining restaurant workflows is more difficult than it seems. Thankfully, there are a few smaller measures you can implement to fine-tune service and improve efficiency on the line. For instance, some restaurants do away with cash service, which affords a faster payment experience. In fact, card-only service lines save an average of seven seconds per transaction, which adds up when you have hundreds of customers a day. 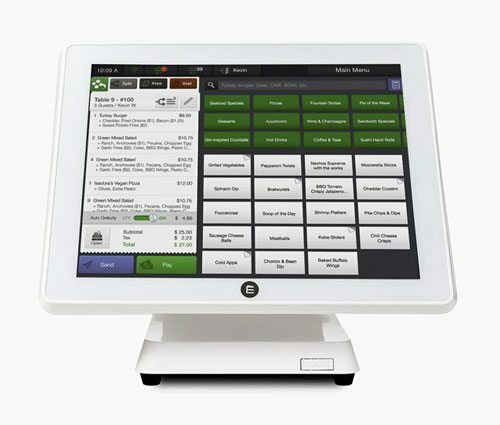 Other restaurants save time by automating part of the service experience, such as creating separate queues for self-ordering or equipping their servers with a mobile tablet POS, which can lower customer wait times in quick service restaurants when lines are long. 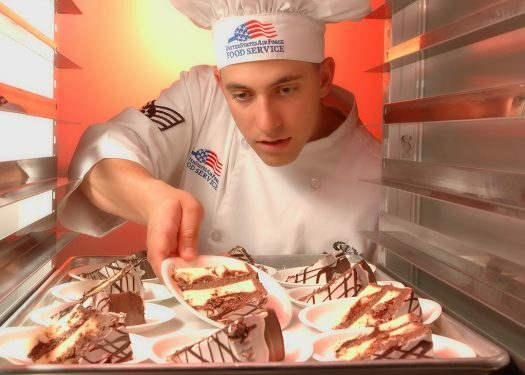 In the back of house, automatic ticket printing can help standardize food preparation and eliminate errors from handwritten tickets, all while reducing labor on your waitstaff’s part. Though some of these measures may take some planning to implement, they’re well worth it. 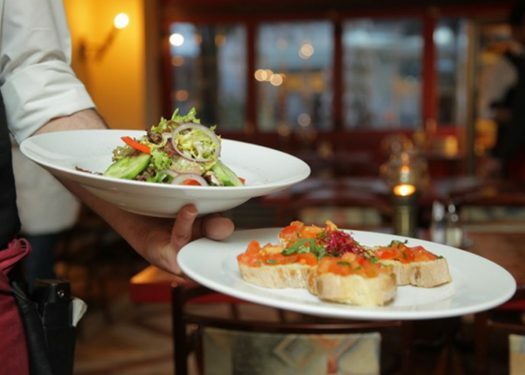 Food and labor costs are the number-one and -two vectors in your restaurant’s monthly expenses. If restaurant labor costs are rising, it only makes sense to reduce your food costs to match. But if you scale back on quality, your customer service experience will likely suffer — and the same goes for raising prices. The answer? Reduce waste by improving efficiency in ordering. A few restaurant technology solutions can help here: inventory management software helps restaurants create educated orders to make sure food doesn’t go to waste. The average restaurant discards between 4 to 10 percent of food purchases, so shaving waste here can save some serious green. A blanket price increase isn’t necessarily a great way to absorb rising labor costs. But smart, strategic price increases and add-ons can help. Menu modifiers are an excellent technique — a small charge for bacon on that cheeseburger, or adding cheese and jalapenos on a basket of fries; the options are endless. You could also offer discounts on bundled items; this may encourage your guests to buy more than they would ordinarily – buy three tapas items and get one half off or get a reduced bottle of wine with the purchase of two entrees. Before implementing a price change, study existing orders to see how you can implement smart pricing strategies. Let’s face it: there’s not a lot going on in most restaurants at two o’clock on a Tuesday afternoon. Closing down between lunch and dinner hours is standard practice in many eateries and may save money on restaurant labor costs if you schedule staff in two separate shifts. Or perhaps you can get rid of dinner service altogether: if you tend to make most of your money on the lunch or breakfast rush, limiting those slower hours probably won’t cost you a lot of business but will cut back on labor. Using data can help you decide what to do here, so analyze hourly sales reports against labor costs to see if there is money to be gained. Even if you don’t decide to change your hours, it’s worth taking a second look at your business hours. Many restaurant managers build schedules off their intuition alone, which can lead to over-staffing and inflated labor costs. Scheduling shouldn’t be a guessing game. Build schedules based off sales data so you can staff up for your busiest times, then decrease hours during slow periods. Once you implement data-backed scheduling, you may find there are hours you can cut to reduce restaurant labor costs. Over the past five years, restaurants all over the country have seen an average 10% increase in deliveries, resulting in an average 20% boost in revenue. With a plethora of apps fighting to secure their place in the food delivery ecosystem, implementing a food delivery channel may be as simple as signing up for one of these turnkey services. Naturally, you’ll want to choose a service carefully because certain applications may not integrate well with existing in-house workflows. However, if your back of house has the bandwidth, these services may boost sales without the need to hire a separate crew of delivery drivers. If you prepare for increased labor costs now, you can spend your time implementing valuable changes to your workflow and modernizing your business rather than counting the days until wages go up. Minimum wage rates may be on the rise, but with the right combination of sales and operational strategies, you can turn the tide on surging labor costs.